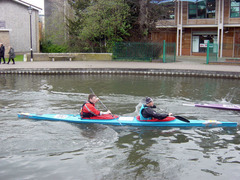 A paddlesports log book from the Thames Tideway in London: sea kayaking, open canoeing, coaching and marathon racing. 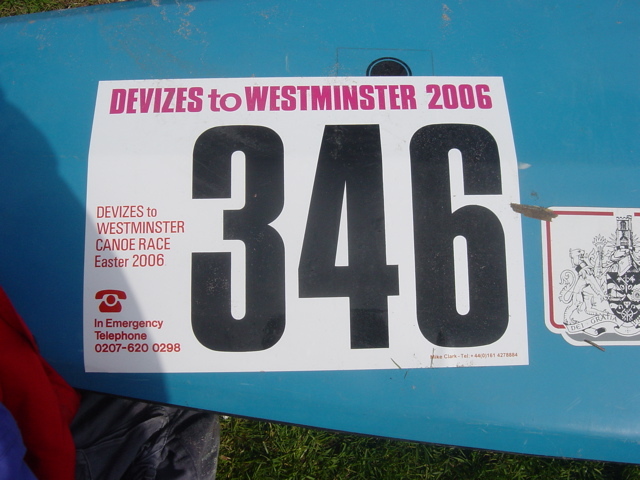 After two and a half months of training, mental preparation and logistical planning we arrived at Devizes Wharf on Saturday morning, together with our support team, bristling with anticipation for the race ahead. Crews time their start to arrive at Teddington for high tide so the wharf was considerably less busy than the last time we were here, at the start of Waterside D, as many people would already have started or would do so later in the day. None the less, there was a palpable air of excitement as we carried our boats into the scrutineers’ enclosure for a final safety check. After good luck wishes and a team photo with our supporters we put in and made our way to the start line. At 09:26:30 we set off, just a few minutes after our planned departure time. Shortly after the start we encountered 'Saddam' the swan. We carefully paddled past the hissing beast and thought we had avoided his wrath but when we had gone about 100 metres I heard an ominous beating of wings behind me. We paddled harder as it grew louder until the crazy bird flew straight into my back. I resisted the temptation to take a slice at his neck with my sharp carbon fibre paddle blade and he clung onto the back deck for a few seconds before finally letting go. There are no portages for the first 14 mile ‘pound’ to Wootton Rivers so we had arranged to meet our support teams at Honey Street (8 miles) and Pewsey (12 miles). The first stop went to plan and we had a slick change of drink bottles. At the second stop, however, as we reached up to the high wharf to change the bottles Julien and I lost our balance and capsized. We were a bit embarrassed but no harm was done and we quickly dried out as we paddled on towards our first real challenge: Crofton (18 miles). The Crofton Flight is a series of seven locks spread over about a mile which most crews portage, running with the boat on their shoulders. While John and Mattias are strong runners, Julien and I knew we would struggle with this section and so we had all agreed to paddle a couple of the longer pounds. After Crofton our next target was Newbury (34 miles). This was the furthest distance that any of us except Mattias had ever paddled in a single day and in my mind I had been thinking of it as the start of the race proper. After the exertion of Crofton I found the section to Newbury very hard as this is where the portages are at their densest (there are 35 locks in the 20 miles between Wootton Rivers and Newbury). Portages were never a strong point for Julien and I and at each one we would see John and Mattias leap out and run around the lock, usually paddling away as we reached the put in. We would then work hard to catch them just in time for the next portage where the same thing would happen all over again. By the time we reached Newbury after nearly seven hours I was feeling exhausted and emotional. While the support team fed us and congratulated us on our progress so far I just wanted to cry. 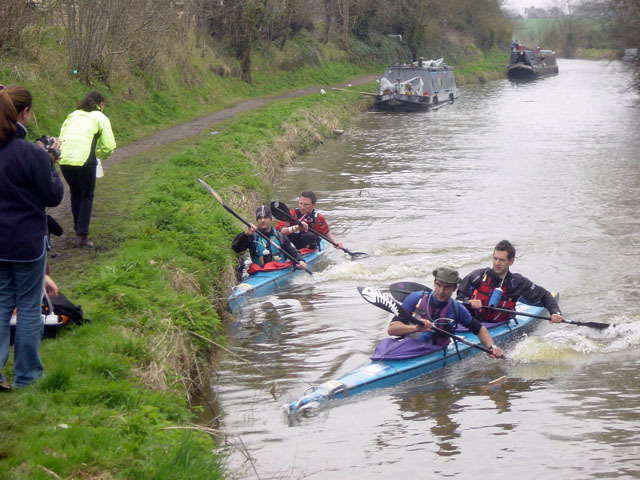 Things gradually improved as we continued toward Aldermaston (43 miles) and the last part of the canal section that any of us had paddled on before. The new terrain and the increasing distance between portages helped my morale and Julien and I began to find a good strong pace without the frequent interruptions for tiring portages. It was also, by now, a beautiful spring evening and I thoroughly enjoyed this section. 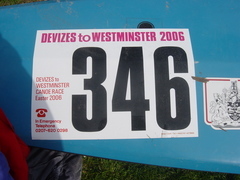 The next milestone was Reading (54 miles) and the end of the canal. Like most crews, we had planned on a full kit change and a hot meal here and as we got nearer I think Julien must have smelled dinner and he picked up the pace. We arrived at about 20:00 to a mass of supporters and crews all relishing what, for most of us, would be the one break in the race. Thirty minutes later, feeling much more comfortable in dry kit, we set off in darkness on the Thames. At this stage I felt quite intimidated by the dark and the long night ahead. We are nocturnal paddlers and most of our training in London has been on the Thames and the Regent’s Canal at night but it did not prepare me for the pitch black of the rural river. I was also very conscious of the fact that ninety percent of retirements happen between Henley and Windsor and I viewed this section as the crux of the paddle. Once again, Julien and I found a good strong pace helped by the slight flow on the river, the deeper water (which results in less hull drag) and the longer distances between portages which were now three to five miles apart. 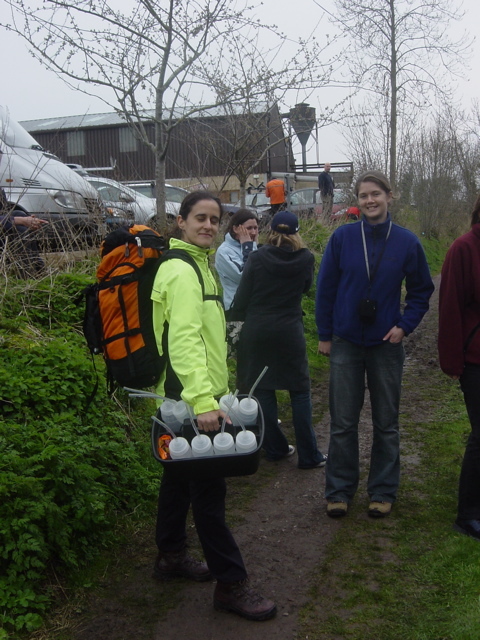 In fact, the portages were now perfectly spaced to be welcome breaks rather than the irritating and tiresome interruptions of the canal and our night time supporters did a fantastic job of meeting us at nearly all of them. While Julien and I were going from strength to strength, John and Mattias were beginning to struggle, although we did not realise this at the time. At Hurley (68 miles) we were held up at the portage and they got several minutes head start on us. When we set off we picked up the pace to catch up with them. Despite taking a wrong turn and having to come back on ourselves, we caught them in about three miles and I wondered if they had slowed for us to catch up. Our pace was now so good and so comfortable that we kept it up and when I turned around at Cookham (74 miles) expecting them to be right behind us there was no sign of them. This was my first hint that something was wrong. We waited as long as we could but we were starting to get cold as it was now about 00:30 and we set off just as they reached the put in after the portage. 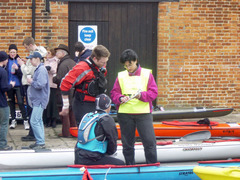 At the next lock, Boulters (77 miles), Mattias told us that John had stopped to be sick. I thought nothing of it and assumed he would feel better afterwards. I enjoyed the next leg from Boulters through Maidenhead to Bray (79 miles) as it is very familiar to me and I was happy to be able to give Julien, sitting in front, a bit of steering guidance and even some local history. At Bray we stopped for some very welcome coffee and waited for John and Mattias. When they arrived Mattias told us that we should activate ‘Plan B’. I was shocked. From the outset we had planned to paddle the race as two crews together to support each other through the inevitable low points but acknowledging that if one crew had a serious problem we might have to split up. Julien and I had not appreciated the severity of the problem the others were suffering but John was now dehydrated and being fed dioralyte solution, he desperately needed calories but could not keep anything down and he was cold. Mattias bravely told us that we should go ahead and that they would slow down and aim for the evening tide at Teddington. Reluctantly, and with a sinking feeling about their chances, we set off alone. We were now almost at Windsor (84 miles) and over half way through the non tidal section of the river, it was 02:00 and we were both surprised at how good we were feeling. I also realised now that, providing we were careful and nothing went wrong, we should make it. My focus shifted from getting over the night time crux to reaching Teddington (108 miles). Teddington is the milestone. From here the Thames becomes tidal and one can almost float down the last 17 miles to Westminster with the tide. I knew, however, that our schedule had slipped a bit and that the tidal barrage at Richmond, three miles downstream of Teddington, would probably be raised two hours after high tide at around 07:00, just as we would be getting to Teddington. This meant we would have a little further to go to catch the tide and an extra portage (after seventy seven one more would be no hardship). So from Old Windsor Lock (87 miles) I was focused on one thing: getting to Teddington. The next twenty one miles would get harder and harder and I began to feel the first twinge of tendonitis in my right (control) wrist. This is the curse of paddlers and I knew it could become a problem so I redoubled my efforts to fully open my hand on the pushing part of each stroke. Now our pace began to slow a little and we were disheartened not to find a support crew at a couple of locks as our fuel was running low. One kind supporter of another crew gave us some coffee and we tapped our emergency supplies of Kendal Mint Cake which kept us going. When we next met our supporters, Dave and Yolanda, they told us the inevitable news that John and Mattias had retired. They made it as far as Old Windsor (18 hours, 37 minutes and 87 miles). I did not allow myself to dwell on this too much except to think that we had to finish for them. Dave reeled off the names of the last few portages we had to get through before Teddington, telling us it was only a handful more. I knew he was exaggerating how few portages were left and glossing over how many actual miles were involved but we soldiered on. At around 05:30 it started to get light and while this gave us a definite lift it also had a downside. After Molesey (103 miles), the last lock before Teddington, the daylight exposed the river stretching out seemingly endlessly in front of us after every bend with no hint of a lock. By now my arms were starting to tire and I knew I was running out of fuel. Every stroke became harder than the last and I could see that there were many more to go. This five mile stretch from Molesey to Teddington was, for me, the hardest part of the race. Forcing myself to keep paddling took an effort of will I would not have thought possible. I kept thinking that if we could only get to Teddington I could stop and rest, until the next tide if necessary. In fact, I began to form a negotiating strategy to use with the support team. I would tell them I was going to wait for the evening tide and then let them beat me down to an hour’s rest which I figured was the most we could afford if we were to catch the morning tide. Finally, we rounded a bend and saw what I almost dared not hope was a lock in the distance. We pulled in to the bank and I dramatically announced that I could go no further. Julien turned around in the boat and gave me a quizzical look. I felt pathetic. The supporters rallied round and fed me hot soup, power bars, glucose tablets and Nurofen. Yolanda threatened to call my wife, Deborah, and tell her to talk me back onto the water. Then Mattias and a very tired looking John arrived to add their encouragement. I knew I would go on and that I was certainly not going to let everyone down at this stage. After a few more minutes rest we portaged the lock and set off for Richmond. Julien pointed out that it was now just a Sunday morning paddle and as the calories kicked in my strength returned and I knew he was right. After Richmond and the tidal barrage we really started to fly and as the sun came out and the church bells rang in Easter Sunday I felt there was no better way to be coming home to London. Normally when we paddle on the Tideway we keep close to the bank and out of everyone else’s way but on this Easter Sunday morning it was our river and we paddled right down the middle to get the maximum tidal assistance. 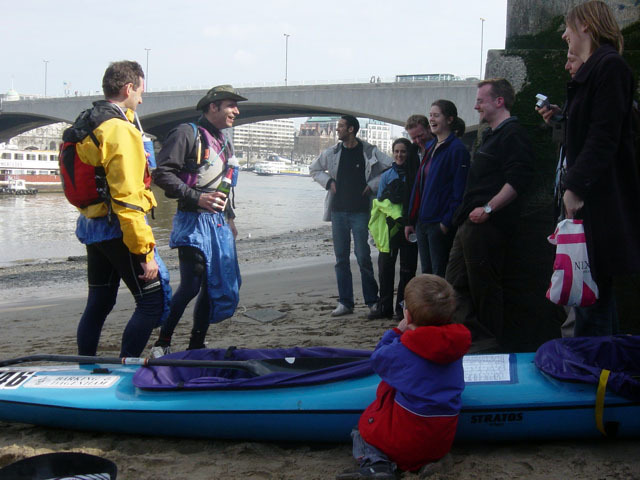 The supporters cheered us on at several bridges and, although our paddling slowed a bit in the last five miles, the tide kept us moving fast and soon we began to see landmarks that meant the end was near: Millbank Tower and the London Eye in the distance. When Lambeth Bridge came in to view I smiled to myself. 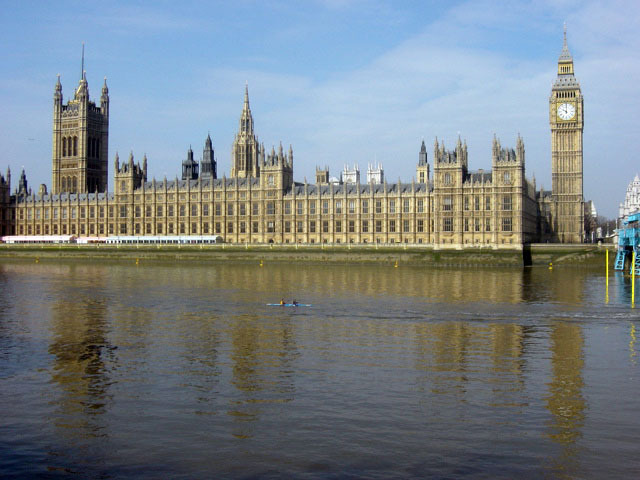 We have often paddled here from Wapping in training and always imagined ourselves finishing DW as we paddled the short reach from here back to Westminster Bridge. Big Ben struck 10:00 as we crossed the finish line 24 hours, 34 minutes and 125 miles after we had set off from Devizes. We had finished a creditable 33rd of the 115 crews who had started the race but all that mattered was that we had finished. As we were lifted out of the boat by cheerful fellows in dry suits my spirits soared and Julien and I hugged each other and all of our supporters, who had gathered on the beach by Festival Pier. The knowledge that we did DW is still sinking in and it gives me a thrill every time I think of it. This race is by far the toughest thing I have ever accomplished and I could never have done it alone. Thank you Julien. You were a machine. I was just about able to follow your pace but I could never have set it. Thank you John and Mattias. Without your enthusiasm and camaraderie I would never have persevered through the freezing night time training on the canal and without your planning and organisation we would never have got to Devizes. Thank you Yolanda, Dave, Helen, Alison, Mishi, John, Sam, Andrew and Craig. You guys were fantastic. There is no doubt that DW is a team event and you were there supporting us every stroke of the way. 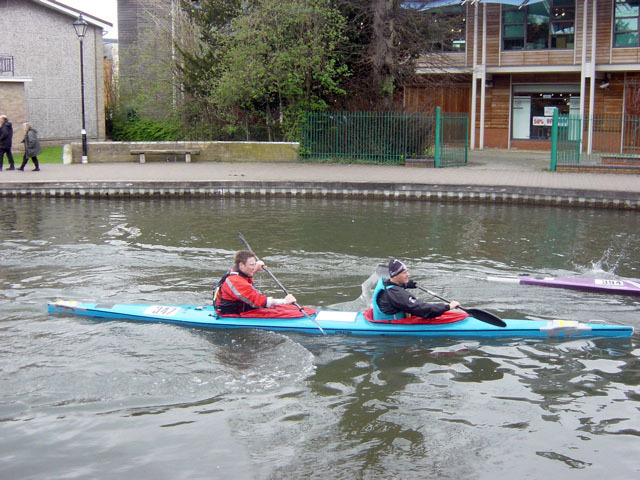 Thank you Barking and Dagenham Canoe Club. When we were floundering in our search to find suitable boats in time for training and the race we were taken aback by the generosity of your offer to borrow a pair of stable K2s. They have suited us perfectly. Finally, thank you Deborah and Bart for putting up with this mad scheme over the last three months. that is brillantly written Luke. That was a tremendous experience and we made a fantastic crew. Could you describe shortly what a kayak and paddles you used in the race? I suppose that you didn't have any problems with body maintainance like we have in Texas Water Safari (260 river miles in hot and humid climate). Hi Marek, we used ICF spec racing K2s such as are made by the likes of Kirton, Marsport and Nelo in Europe. These boats are limited to 6.5 metres long and until recently had to be no less than 55cm at the widest point. Most people used wing paddles although I used a touring paddle (Lendal Kinetic Touring). I was a bit crest fallen to read about the 260 mile Texas Water Safari. Its crazy to think there is a non-stop race out there that is twice as long as DW!